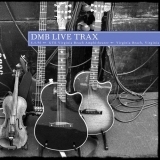 Live Trax Vol. 18: Virginia Beach, VA June 4, 1996 (this album) (2010). Sorry, no matches on eBay for "Deed Is Done Dave Matthews Band".